While researching this family, I found a few things that I found family several misfortunes. I already knew all the people in this family from my research from years prior, but because I only focused on the people and the dates, I didn’t really comprehend what the family actually experienced. 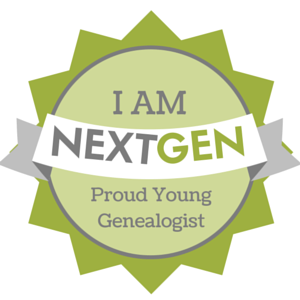 For reference, Charles W Tollefson is my third great uncle. Charles ‘Chas’ William Tollefson, (1857-1947) is the son of Tollef Lyndom Tollefson. He married Tressa Anna Swoyer (b. 1858) in 1886. They have 3 children: Carl William (b. 1889), Olive Ann (b. 1891), and Tolof Lyndom (b. 1900). Carl William appears to have a fairly normal life. I will cover his live in a future post. Olive Ann on paper, appears dedicated to her family. Tolof Lyndom appears to have a life filled with interesting episodes. The first tragedy to strike this family is the loss of mother Tressa in 1903 at the age of 44. I am not sure why she died at this point in time. Because of this event and the events that unfold through the years, this even may be why Olive is not married until much later in life. WW1 comes and son Tolof serves in the Navy from 3/8/1918 until 4/7/1919 when he is honorably discharged. During this time, Carl has listed an exemption on his draft card because he is married with 2 children. With no one else at home, Olive is most likely helping on the family farm. 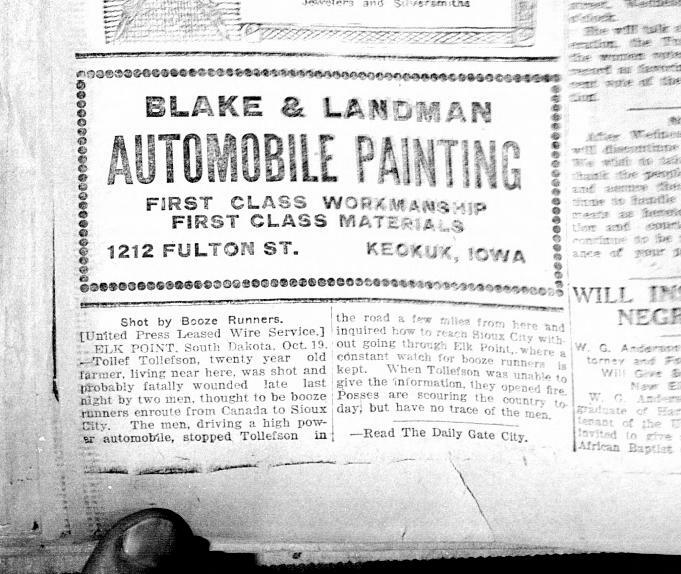 In 1920, Tolof is shot at his farm in Elk Point by rum runners moving liquor from Canada to Sioux City and presumed dead by the newspaper. After this incident, it seems that Tolof then becomes a game warden, which I learn from the next mention of him in a newspaper article seen below. 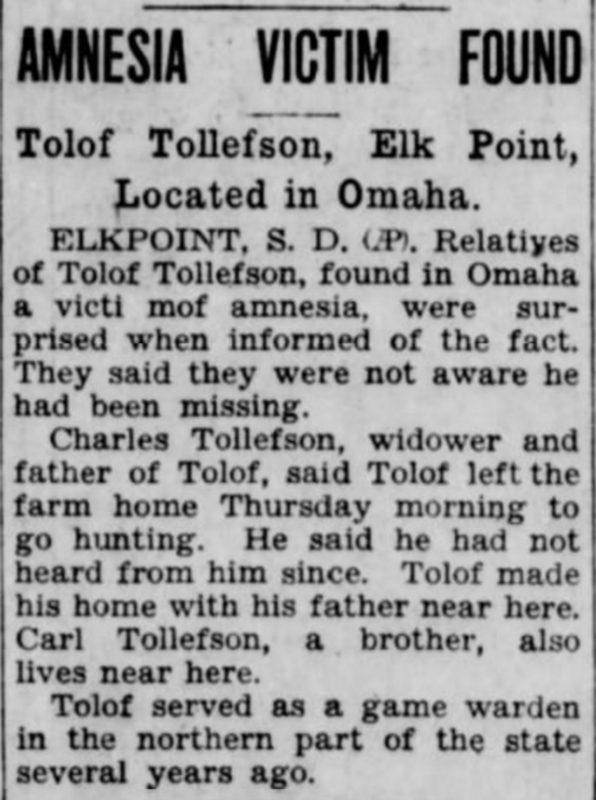 The article dated Nov 24, 1933 says that Tolof had amnesia and is found in Omaha. After that, Tolof spends some time in the in the Disable Vets home from March 1, 1934 until July 31, 1934. His admission notes list the symptoms of graves disease, cavities in teeth, and arthritis. This document also lists Olive as living in Pierre at this time (as closest living relative). Supporting documents show that Olive ends up working for the State of South Dakota. She is a census taker for the state census and then ends up moving to Aberdeen where she is listed on the 1940 census and her father Charles is living with her. While in Aberdeen, it appears that Olive is still working for the State of South Dakota. A few years after her father dies, Olive marries Merrill Martin Korte in 1950. The 1950 will be troubling though, as her brother Carl dies in 1953 followed by Tolof in 1954 and then her husband Merrill Korte dies in 1958. Olive continues living in Aberdeen until her death in 1975.